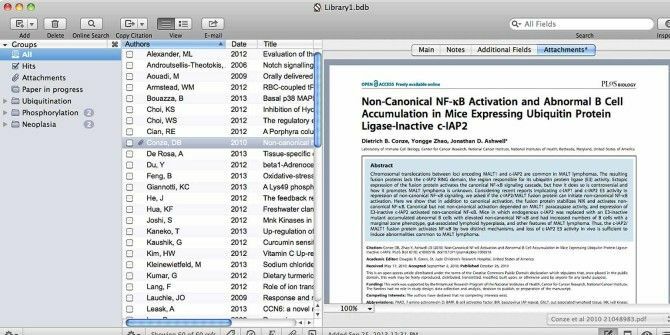 While it’s quite easy to footnote your sources and create a bibliography for your academic papers and manuscripts in Apple Pages or Microsoft Word, Sonny Software’s Bookends for Mac practically performs the research and citation formatting tasks for you. Bookends is for college level students, writers, and professional researchers who need to keep track of and cite dozens or even hundreds of books and documents in their manuscripts. Bookends is a powerful tool in any writing workflow and can both help you conduct research and manage reference metadata at the same time. Bookends is available for free trial download, and though its $59.99 license price tag (onsite) may seem bit expensive, the powerful features it includes make it worth every penny. 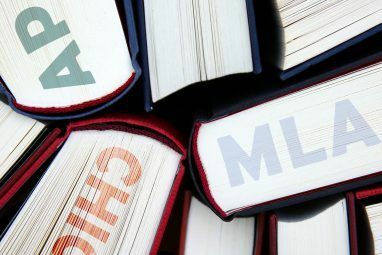 There are three main parts to Bookends: a built-in search tool for online resources, a library of all your imported sources (including reference data) and a citation and bibliography creation tool that saves you the trouble of manually typing references. What first caught my attention is Bookends’ ability to perform online searches from within the application. Bookends can search Google Scholar, Amazon sites, the online biomedical literature site, PubMed, and over a hundred university libraries. Bookends can save groups of online searches, which is especially useful for long range research projects, so all your research can be managed in one place. The application’s in-built web browser means that many sources can be opened and read in Bookends without leaving the app. PDFs, other documents and image files can also be imported (using drag and drop) as attachments to current sources. All imported sources, including their available reference data, are saved to your Bookends library. Bookends will look for and save reference data for each source, which can be viewed and edited in the digital “notecard” of the Inspector. This feature alone saves a few of hours of manual note taking for sources. The Inspector can also be used for editing reference data, and adding notes. Sources in the library can be color coded and rated for various management purposes. Saved sources in the library can be managed in static and smart folders, the latter of which automatically collects imported references based on a set of rules for specified data. You can also use the Bookends “Hits” feature, which acts as inbox folder for all items you select to add to it as you conduct your searches. These types of management tools make for more efficient research. The value of Bookends greatly increases when it comes to adding citations and bibliography references to your academic papers. When you want to cite a reference in a paper, you can copy the source reference from your Bookends library, or you can select and drag the reference to your paper, which will create a temporary citation that Bookends will reference. As explained in the Bookends tutorial (found under the Help menu) you can use a feature called Cite Pages to add specific page numbers at the end of a citation. This approach to citing quotes and paraphrases in a paper requires less manual typing on your part. And it also means you can move temporary citations around as you revise your manuscript, though it might be a good idea to add your temporary references at the end of the writing process. Before or after adding all your temporary citations Bookends can scan your manuscript and format all citation for you, creating a bibliography of all selected sources based on a formatting style of your choice. The same process can used for creating footnotes. 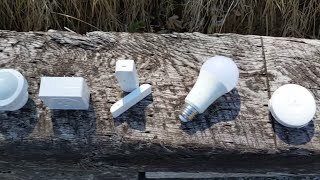 This tutorial video explains the process in more detail. Bookends has direct support and integration with Word, Melle, and Nisus Writer Pro and can also scan documents written with Apple’s Pages, Writer Pro, OpenOffice Writer 3, or documents saved in Rich Text Format (.RTF) by any word processor. You can also have Bookends format and create a bibliography of selected sources without scanning a document. Bookends comes with well over a hundred formatting bibliography and journal styles, including APA, MLA, BibTex, Chicago 15th A, Harvard, Historical Journal, and Nature. You can even create custom citation formats, which is fully explained in the user guide. Alternatives to Bookends include the much more expensive, EndNote ($249.95) with over 5,000 bibliography styles and direct Word integration for formatting bibliographies. This widely regarded as being the industry-standard for such practices, hence the eye-watering price tag. There is also the cross-platform research library Mendeley, which has support for Word, LibreOffice, and BibTeX for no money at all. 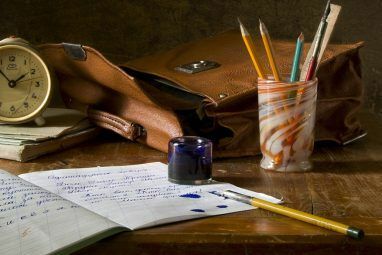 There’s also a free research and PDF management tool Qiqqa Organizes Academic Papers, A Student's Best Friend [Windows] Qiqqa Organizes Academic Papers, A Student's Best Friend [Windows] Get your massive collection of academic papers under control so you can get to work actually writing. Qiqqa is a document management program built from the ground up for academics, making it a must-have tool... Read More called Qiqqa for Windows and Android. There are many more features to Bookends, including the ability to create multiple libraries, a built-in HTTP server for sharing data online, and even the ability to annotate documents within the application. Bookends is most useful for grad students and research professionals so if you’re an undergrad student it may not be worth the price. Then again, if you will be writing research papers for the next four or five years (and beyond), Bookends may be worth the price you pay in investment and time to learn how to use it in your workflow. Admittedly, Bookends is not as attractive as say the online site, Easybid.com (which requires a monthly subscription for premium uses), and depending on your specific research needs, the program has a bit of a learning curve. Stick with it – the video tutorials and user guides are most helpful. Try downloading the trial version when getting ready to work on your next research project to find outjust how powerful and useful Bookends can be. How do you handle the gathering and management of sources for papers? Let us know what you prefer in the comments, below! Spark Is the Best Google Inbox Alternative: 11 Reasons Why It’s Worth a LookMac Users: Is There Any Good Reason To Ever Reinstall OS X? Zotero with Zotfile is not that bad. All of these features are included in Microsoft Word. No need to purchase expensive plug-ins and/or additional apps. I recently purchased a Macbook Pro and am appalled at the lack of functionality in Apple's office suite. It is at least 6 years behind MS Office Pro 2013. I have tried Open Office and MS Office for Mac 2011. None of them is even close to current MS functionality and efficiency. With iWork I feel like I'm using Corel Word Perfect in the year 1997. J Kitching, thanks for your feedback. Your points are well taken. Sir, I've read your articles & I am getting educated and getting reliable information about apps and their use. Thanks for introducing kids like me who are new to mac. mac is all about style & kink. MS word how much enriched with features, always felt mechanical to me. Whereas mac & its tools are simply a beauty, there's no match for its awesomeness. I am very new to bookends and disappointed with it but I hope after getting its full grasp I might like it. Using bookends is bit difficult. Not bad. Sente is best though.